In this special series on the Pioneer LaserActive, guest author Taylor Pinson will be discussing some of the games released on the Sega PAC, an add-on for the LaserActive that could play Genesis, Sega CD, and Mega LD titles. 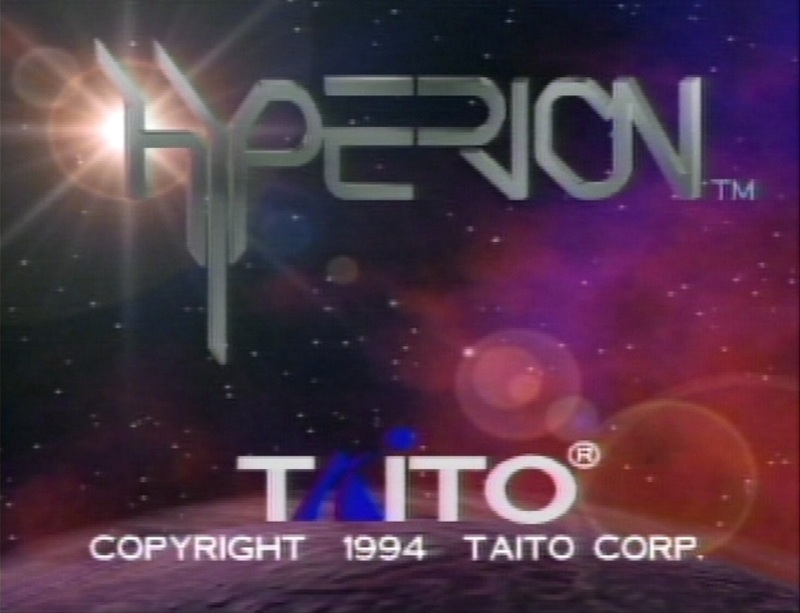 Hyperion looks a lot like the other shooters we’ve seen on the LaserActive. It uses the system’s impressive video capabilities to supply the game with fancy pre-rendered back drops, then applies the Sega PAC to overlay the game’s actual graphics on top of it. Hey look, a developer who’s actually made video games before! Instead of making yet another shooting-gallery style game, developers Taito created a more traditional over-the-shoulder shoot-em-up similar to Space Harrier, After Burner or Galaxy Force. After enduring the vapid likes of Pyramid Patrol, Hi-Roller Battle and Space Berserker, I welcome any change. 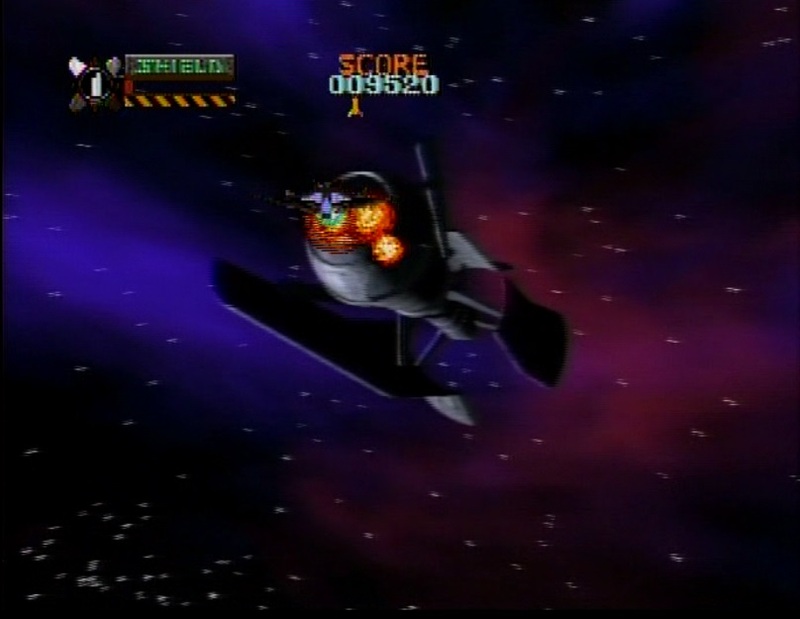 Standard enemies and your ship are both rendered using the Sega PAC’s capabilities. The story is the usual goofy stuff we’ve come to expect from LaserActive games. The Earth has been destroyed by evil aliens and its up to the few remaining humans to save what’s left of the human race from extinction. To help do that, you pilot a tough little spaceship and blast your way through hordes of alien bad guys. The gameplay is challenging, but nothing shoot-em-up fans can’t handle. Your ship starts with the usual genre staples: a machine gun/blaster cannon with unlimited ammo and a finite set of bombs for blasting bigger baddies. As you play through the levels, you can try to collect health power-ups that restore your shields or weapons ones that make your cannon shoot faster. That is one fiery rear. Your enemies are a mix of enemy ships and aliens generated by the Sega PAC as well as the occasional mid-stage mini boss. 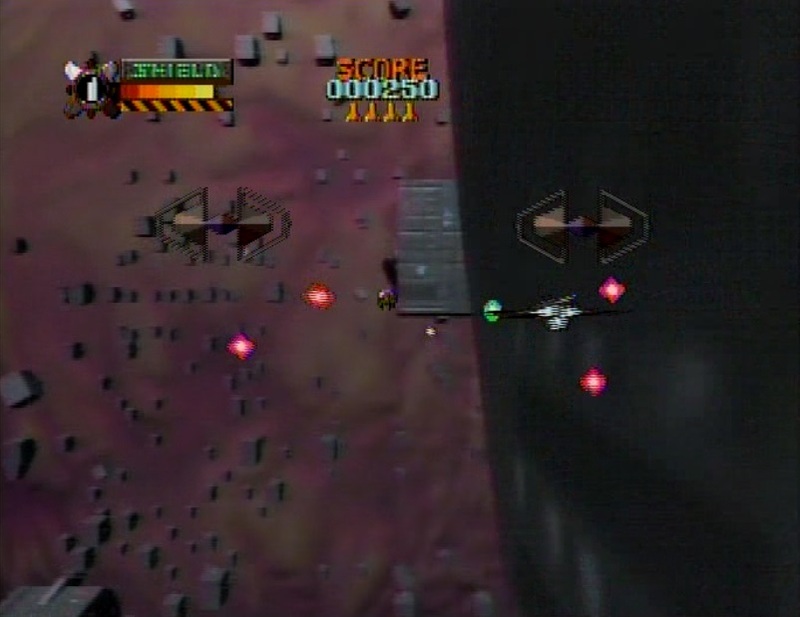 The larger enemies stream from the LaserDisc’s video footage and typically act as the stage’s final boss. Hyperion also offers some additional, if limited, interactivity with certain flying footage. As you fly near cliffs, space debris and other obstacles, your ship can dodge to avoid taking damage (similar to the sort of thing you see in Silpheed for the Sega CD). Mission briefings don’t really add anything, but they do make for some nice window dressing. In addition to the typical dramatic in-game music and pre-level mission briefings, there’s also the occasional in-level radio chatter from your wingmen . 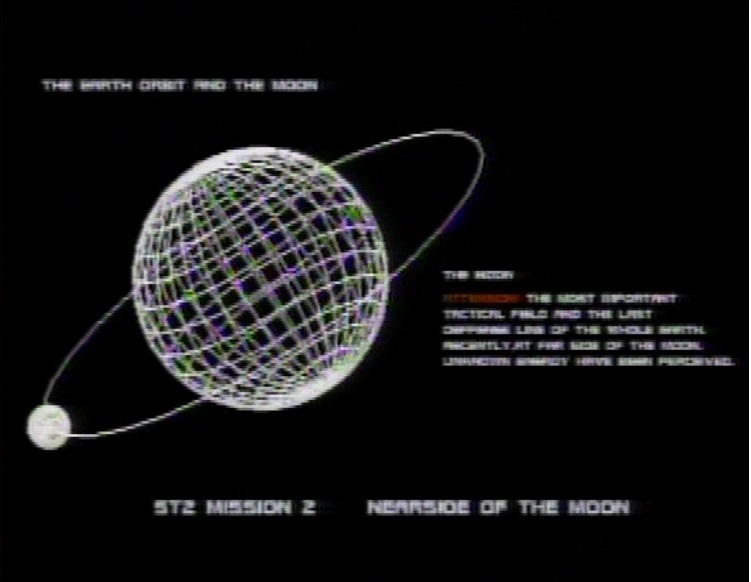 It’s nothing mind-blowing, but it gives the impression that Taito was at least trying to immerse the player in their cliché sci-fi universe. The FMV looks quite nice, given its age. 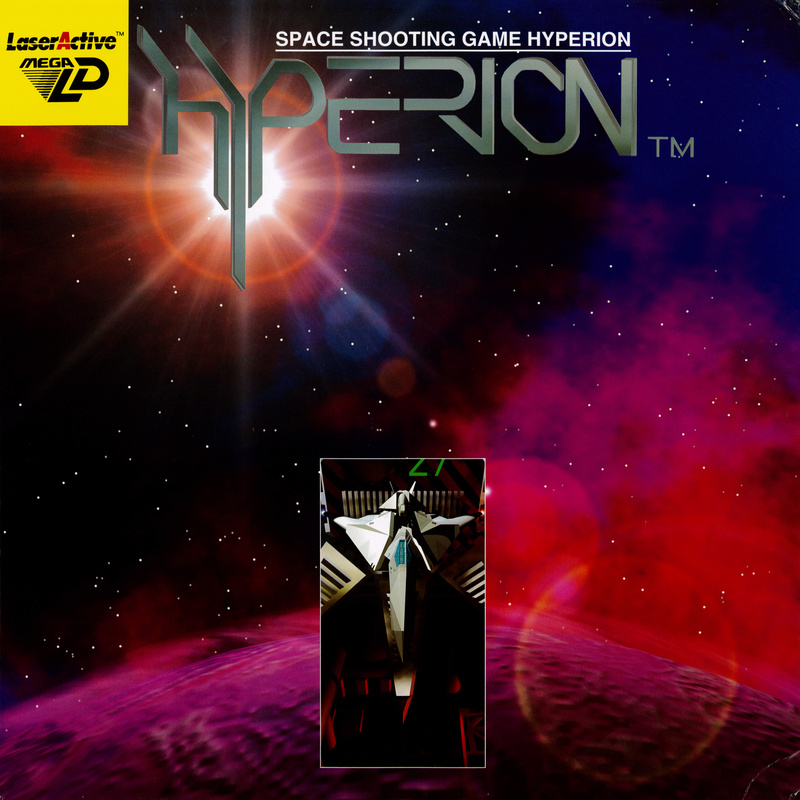 Compared to space shoot-em-ups you’ll see on other systems, Hyperion‘s decent, but nothing special. 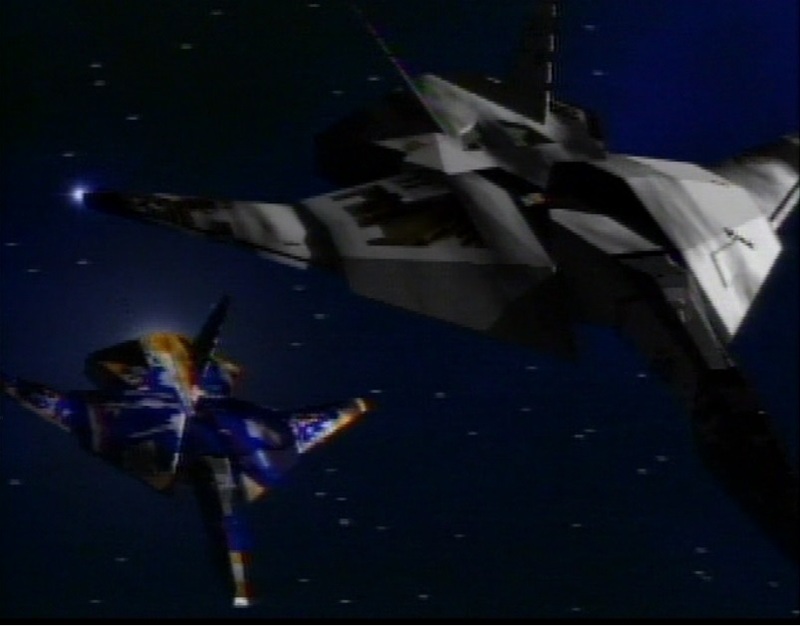 Compared to the LaserActive’s unremarkable shooter library, Hyperion‘s the best, hands down. “The annihilation of life on earth was a severe blow” – psch, harden up, pansies! Next time, watch out for energy bombs! After the agonizing string of Pyramid Patrol clones and FMV snoozefests, I felt the same way. It’s not a great game, but it’s been head and shoulders above the rest so far.